European markets continue to lag behind their US counterparts with the Dow Jones putting in another decent gain yesterday after nearly hitting a new high for 2012. However, a downgrade to Spain's credit rating by S&P overnight has reminded the bulls of the headwinds that investors currently face. Earlier this morning we had been calling the UK 100 to open flat at around the 5750 mark, but on opening we are actually in the red by some 30 points at 5710. Spain's second cut to its credit rating this year is another shot across the bows of Europe's fourth largest economy. Whilst equity markets are dipping this morning the country's ten year government bond yield is heading in the opposite direction. They are currently around the 6% level. The problem is not just that Spain has a banking industry that's in so much trouble that it makes our banking crisis look like a picnic. They are also suffering from rabid unemployment, which is expected to rise even further. On top of this, their PM continues to insist that the country does not require financial aid. The financial markets have heard this all too often and remain unconvinced. Similar claims were made by the leaders of Greece, Ireland and Portugal. For now however, the bond yields have not spiked completely out of control and we're not seeing widespread panic. So, as mentioned, the UK 100 is softer on the open. The index has been forming a bit of a downward trend in the past month and a half after hitting its highs for the year in March. The trend sees resistance around 5790, which is the upper downward trend line, with other significant near term levels at 5830 and 5900. Meanwhile support is offered around 5635/00. The trend looks like it could be forming a bullish flag, so a break to the upside might get the more bullish spread trading account holders excited. Having said that, a break higher is unlikely to happen today unless we see something spectacular from the US GDP figures this afternoon. Market expectations for Q1 US GDP are for an annual growth rate of 2.6%, slipping from the previous reading of 3%. However, given the recent mixed economic data, economists' forecasts are spread over a wide range of 1.2% to 3.6%. Whilst shares have benefited from global central bank stimulus, traders will be keen to see if any of this has actually improved the underlying growth. With China slowing and the weaker European nations dragging the wider region closer to recession, the need for the US to maintain its moderate recovery becomes ever more crucial for the global economic outlook. It's official, we're back in recession with the double dip being confirmed yesterday. This is going to add to the woes of the coalition and probably cost the incumbent Mayor of London his re-election prospects next week. Blame is being placed at the feet of George Osborne by the opposition and who would blame them? Voters remain heavily sceptical of Labour's economic record after they were responsible for plunging the economy into its deepest recession for a century. As a result, Labour are trying to make as much political capital as possible out of yesterday's figures by pointing the finger at the government's austerity measures and spending cuts. There's no doubt that the cuts are having an effect on the economy and the lack of growth is causing the government to borrow more, meaning that its deficit reduction targets can be torn up. However, there are far more influential factors that have led to this double dip. The economy has been flat lining for a year now as bank lending has frozen up and high oil prices continue to send petrol and utility bills through the roof. In addition, there are major problems with our biggest trading partner, the Eurozone, which is in another deep recession. A lack of wage growth and high inflation has led to a slump in consumer confidence and people are running just to stand still. The government is not solely to blame because of the spending cuts, but also their lack of any meaningful plans for growth. Construction and manufacturing were major contributors to the decline in GDP for the first quarter. So far the government has done little to help with any major incentives for businesses in these sectors. A cut in the corporation tax here and a raising of the income allowance there is just tinkering when you have an economy that is starved of capital. The banking sector is being battered by a series of draconian reforms. The recovery since the last recession in 2008/09 is the worst we've seen since the beginning of the last century and the bad news is that it's not going to get any better. Until inflation normalises and the global picture improves, growth in the UK will continue to bumble on or around stagnation. The government could have some impact by making some bold decisions on infrastructure spending and lowering taxes. Perhaps most important would be persuading corporate Britain, which is in relatively decent shape and by no means stuck in a deep recession, to invest. The FTSE 100 spread trading market has taken the bad news in its stride and is storming ahead this morning, up some 40 points to 5760. This is yet another indication that, despite the poor economic back drop, corporations are producing some decent numbers in this round of earnings. The return of risk appetite after those big losses on Monday indicates that the stock market bulls are still not put off by the macro picture. As a result, resistance levels should be watched carefully and these are seen around 5770, 5830 and 5900. European markets are continuing their attempt to claw back Monday's losses after Asian markets were encouraged by Apple's latest results. The results show the impressive strength of sales in its iPhone product which continues to lure in people who've yet to get themselves a smart phone. There are still millions of people yet to make the move from a standard device and, whilst the iPhone might be losing some ground, it still seems to be the device of choice. Not only that but it's another boost for the China story where Apple saw a massive surge in sales. After declining around 2% in normal trade, the stock rallied a whopping 7% after the bell. This has done quite a bit to assist the share price which has been seeing a natural correction for the last couple of weeks. This correction has been quite substantial, seeing a 15% fall from the dizzy heights of over $643 to $559.80 at the close. The move after the bell takes the stock back towards $600. The UK GDP numbers will be in the spotlight today to see if our economy has dipped back into recession or not. If it wasn't for a dip in construction and manufacturing in recent months we would be expecting a figure of around 0.5%, more than recouping the retraction of 0.3% in Q4 of 2012. It's the services sectors which has been in very good shape and should assist in the UK avoiding a technical recession. Nevertheless, the bottom line is that the UK economy has shrunk over the past six months and, with the Eurozone continuing to struggle, the prospects for future growth don't look all that bright. The FTSE 100 financial spread trading market, which touched its 200 day moving average earlier this month, has done well to bounce back from around the 5560 area. Over the medium term, this remains the major support area, whilst the bulls will be eying up 5800 and then 5900 before the magic 6000 level. Over the shorter term, 5640 and 5590 are support to the downside and 5775 is resistance to the upside. At the time of writing the FTSE 100 has opened at 5720, just in the black as investors look ahead to those UK GDP numbers. In the afternoon spread trading investors will have to digest US durable goods orders and some more blue chip corporate earnings. Yesterday's mixed bag of US economic data was shrugged off as traders focused on the stronger earnings. However, the indices spread trading markets may struggle to repeat the same feat today as traders square their books ahead of tonight's FOMC statement. A bounce is ensuing after the substantial sell off on the shares spread trading markets yesterday as both political and economic concerns made a lethal cocktail for investors. When you see the financial spread trading markets drop as they did, it sets off a few alarm bells and justifiably so. The PMI numbers across the Eurozone were truly terrible. The trend they are starting to take is worrying as the region could be heading for another deep recession. Particularly if the debt markets continue to turn against the likes of Spain and Italy. At the moment, it doesn't seem to matter how much the IMF increases its coffers or how often the ECB President attempts to pacify the markets. Online spread trading investors continue to focus on the fact that austerity is crippling both countries and without growth the current strategy looks doomed. Buyers were out in force yesterday for both the FTSE 100 and particularly the DAX 30, which saw the most spectacular falls. So far this morning they are being rewarded, although the bounce is hardly awe inspiring. The London index is up around 20 points at 5885 and the bulls are hoping that support around 5635 will hold up. A break below here could see the next support areas of 5590 and then 5530 tested, while 5770, 5830 and 5895 are seen as near term resistance. Economic data comes in the form of the UK's PSNB which is expected to hold around £15bn, keeping the government in line with their targets. Having said that, there might be a higher than expected number, as we saw last month, as government departments rush to spend, spend, spend before the end of the fiscal year. Later on there will be lots of housing data from the US which should be watched just to see if they have an impact on US trade. The first round of the French elections has thrown up a few surprises. It indicates voter dissatisfaction for the mainstream politicians, as parties on the far left and right benefit from voter delusion. French elections have often thrown up surprises in the past and even though Hollande is ahead in the polls to win the head-to-head run off with Sarkozy, it could be a very tight call. Only ten years ago the National Front's leader, the incumbent's father, knocked the main socialist candidate spectacularly out of the race in the first round to hand an easy victory to Jacques Chirac. Over the next fortnight it will be very interesting to see whether the support for the far right will assist Sarkozy in winning a second term. However he will have to fight hard to win them over. One tactic will be to get the message across to them that without their support the alternative is the first socialist government for seventeen years. However it's not just a question for left and right with France, it's Europe or not. Many supporters of Hollande and Le Pen were attracted by their euro-sceptic stance. In contrast, Sarkozy has been in the thick of Europe throughout his past 5 years in office. If the incumbent President loses then it could be more to do with an anti-Europe vote than anything else. The polls currently suggest that Hollande will breeze into the �lys�e Palace and this will see significant change for France. His policies aim to reverse much of the work that Sarkozy has done to make France more competitive. He is calling for mass government spending via increases to the minimum wage, raising the retirement age and then viciously attacking the country's banking sector and rich individuals. Financial spread trading markets will not like these moves and the French CAC is down almost as much as 2% already this morning. French ten year government bond yields are also slightly higher. The risk aversion this morning is not only down to the first round of French elections, Chinese manufacturing data is also showing contraction. At the time of writing the FTSE spread trading market is bang on the 5700 level and has broken the short term upward trend of the last couple of weeks. This area is a key support level, but looking at the German Dax which really is in sell mode, it may not hold for long. The events of the week have been quite focused on the UK spread trading market, with investors also keeping an eye on the European situation. It has been interesting to see that the economic data is painting a mixed picture for consumers and business. Earlier in the week inflation came in higher than expected and this complimented the producer prices from last week. High oil prices continue to remain an issue and are having an effect on the real economy. Even the Bank of England has admitted that inflation is going to remain high, only a few weeks after having said that prices are due to plummet back below their target. So whilst businesses and consumers are struggling to deal with stubbornly high commodity prices, the other major piece of economic data has indicated that the private sector is starting to employ people again. The moves in financial spread trading markets have shown renewed confidence in the UK, with both the sterling/dollar and sterling/euro forex markets rising to month long highs. The picture in the UK labour market might be looking a little rosier than expected, but the FTSE 100 still continues to be held back. It's still difficult for investors to get really excited the about the equity spread trading markets when so much is at stake in the Eurozone. This morning the index is almost unchanged at 5740. Even though a little bit of an uptrend has been building for the FTSE 100, the near term resistance looks like quite a hurdle to get over. Levels at 5835 and 5880 will be closely watched to the upside whilst support is seen at 5700, 5650 and 5540. 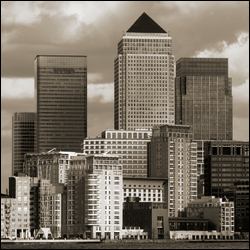 In the UK corporate sector, retailers are having to deal with the same headwinds as consumers. Unfortunately, whilst firms are attempting to expand and invest more, there's still a vast amount of capital sitting on the side lines without a home to go to. The problem is that the outlook continues to look uncertain and so this cash is being kept under the mattress rather than being risked. Today the focus remains on the UK high street as retail sales are released this morning. The good weather throughout March is due to give sales a boost but this is by no means a change of the longer trade trend. Spain remains the focus for spread trading investors and today's important Spanish bond auction will be closely watched. Earlier this week the country got away some much shorter-dated debt which was well subscribed. However, today's test is of much longer dated bonds, including some ten year debt. This will be a good indication of investors' confidence in the country. Since the ECB hasn't been particularly active in the bond markets since its LTRO program, it will be interesting to see how things go without the deep pockets of the central bank wading in. What bulls are really praying for is a successful auction which could alleviate some of the pressure on Spain. There was lots of interesting data from the UK yesterday with a rare glimmer of light for the labour market which actually saw unemployment fall. The problem is that a lot of the jobs are part-time, with the number of people in part-time work rising to the highest level since records began back in the 1990s. The number of full-time jobs actually fell which continues show how fragile the labour market is. Whilst many firms are starting to hire again, it is not in the normal fashion that you would expect during a recovery. This sort of sentiment was reflected by the world's largest money manager Blackrock. The US firm reported decent numbers but nothing that set off any fireworks. The highlights of their results were that they were seeing more investors willing to take on a bit more risk by moving into shares. However, they were not seeing as much as they would have expected compared with previous recoveries. So this just shows that investors and firms are not going all guns blazing at this stage of the economic cycle and caution remains the order of the day. This is being reflected in the FTSE this morning which is creeping higher again but has had a few sessions of indecision. At the time of writing the index is at 5780 and has just been creating a little bit of an uptrend following the few weeks of declines. The little bounce so far is almost looking like something that could turn into a more sustained recovery for the shares spread trading markets. However, the headwinds remain strong and a return to the year's highs still seems a long way off. A handful of US economic data will provide a better picture for investor optimism, with weekly jobless claims, existing home sales and the Philly Fed manufacturing survey due out later today. Risk appetite seems to be improving somewhat with yesterday's big move higher. However, this morning financial spread trading investors are trying to size up the rally and aren't quite sure whether the move was a precursor to further strength. At the time of writing the London index is flat at around 5760 with the bulls eyeing up the 5800 level and then 5835 over the near term. 5835 is the higher end of the upward channel that has been forming in recent days. German confidence data was one of the main reasons behind yesterday's rally. This helped in reducing debt yields for the likes of Spain and Italy and so spurred on equities even more. It's a retail focused week and today all eyes are on Europe's biggest retailer Tesco. The supermarket posted slightly better than expected results but the jury is still out over the company's longer term prospects following its profit warning earlier this year. The US has always been a tough nut to crack and the amount of money that Tesco has thrown at its attempt to expand across the pond is not exactly insignificant. The problem is that US consumers simply aren't tempted to shop in a retailer that they know little about when they are so used to the likes of massive supermarkets such as Wal-Mart. Even though we've seen some decent strength over the past few days there is still a degree of caution amongst spread trading investors. Today's economic data focuses on UK unemployment numbers. Here the picture of the UK labour market is not expected to improve much with the rate of unemployment due to rise from 8.3% to 8.4%. The claimant count is also likely to paint a rather grim picture following February's bigger than expected rise. On top of this, wage growth is really struggling so even those people who are lucky enough to have a job are not seeing much of a rise in their salary. This is causing the great squeeze for the consumer as inflation continues to rise. Even though recent PMI and other sentiment data has been improving, firms across the UK are still very much in defensive mode and refusing to invest heavily in more staff. Also this morning the BoE minutes will reveal how many members of the MPC voted for further QE. Last month there were two members saying that further money printing was required. However, considering that yesterday's inflation data actually came in higher than expected, this stance might have changed a little. The Bank had been expecting inflation to fall significantly this year but this has simply not materialised because oil prices have remained stubbornly high. As a result, any further QE would be likely to keep prices above and beyond the Bank's target for some time to come. We have had some poor retail data from the likes of M&S and Burberry this morning and the FTSE can't decide whether to ignore the warning signs or continue to move lower. At the time of writing the index is at 5680, having oscillated between gains and losses already this morning. With crude and metal prices continuing to head lower there's a real feeling of risk aversion, but this hasn't yet filtered through to equities. UK inflation numbers will be in focus and, following producer prices last week which were higher than expected, we may not see the sort of declines that the Bank of England as been mooting in its latest inflation reports. With crude still well above $100 a barrel, rising prices are here to stay. The FTSE has commenced the week tentatively as investors reflect on four weeks of declines on the trot. The big question is whether the falls for the FTSE and DAX, of around 5% and 9% respectively, represent a buying opportunity. Since European indices had recorded the most impressive gains so far up until mid March, they are the ones suffering from the correction the most. The FTSE, as mentioned previously in this comment, has bounced neatly off its 200 day moving average at 5560. This is where the support still currently remains, whilst at the same time being the level that we pretty much commenced the year. The recent bounce of the last few sessions has yet to prove itself though as the 20 and 55 day moving averages crossed themselves earlier in April. With the same moving averages on the verge of doing the same on the DAX's daily chart, the bulls continue to look nervous about buying at these levels. The catalyst for any rise could come from a number of factors, the first being the US earnings season that is now underway as so far has not exactly set off any fireworks, but there've been no major disappointments. The Wall Street banks kicked things off on Friday and this week will be dominated by them as we see Citigroup today followed by Goldman Sachs tomorrow and Bank of America along with Morgan Stanley on Thursday. JP Morgan beat expectations last Friday showing that Q1 was a bumper quarter for Wall Street banks. They have benefited hugely from the massive liquidity provided by the ECB's from their LTRO program which not only saved European banks, but led to a flurry of deals within the capital markets. This however does not necessarily mark a turning point for investment banks as many of them continue to shed jobs in a bid to rein in the costs. This morning the FTSE is at 5680 at the time of writing just benefiting from that little bit of buyer interest as mentioned above. Near term key levels for the index are seen at 5630, 5570 and 5535 to the downside with 5730, 5750 and 5810 to the upside. Like many CFD trading investors, clients have been tentatively buying into the recent weakness but not to the extent that we would normally expect after such a retracement. As a result a few are benefiting from this morning's little bounce.